On this day, twenty years ago, I gave birth to my baby girl. The day I met her is the most amazing day I could ever imagine. I remember I couldn’t stop looking at her. Almost as if my heart was born outside my body. This little person was here. The one I had prayed and prayed about. I looked over every inch of her; from her rosy lips, to her tiny toes, and her little cone head. What a wonder it was to see this very real little person finally enter my life after a long nine months. The two grandmas and great grandma were just as enamored with her. We all fell a lot in love with this fuzzy-headed baby. A precious gift to us all. And then, I am holding her hand and I am praying that she grows and shines as bright as she is. And she does, right before my very eyes. Faster than I ever thought possible. And now I have two hearts outside my body. I am so proud of you, Sydney. You are a beautiful Mom and an even more beautiful (now) twenty-year-old. Happy Birthday! May the next twenty years be as good as the last. Happy Mother’s Day to all Moms; young and old, new and experienced, with and without child. I hope today more than any other you know you how important you are. How precious you are to the family. How precious you are to life itself. How beautiful it is to see a mother with their child. The Church I attend has all the Moms stand up, then everyone claps. And claps. And claps. At that point it gets a little uncomfortable….oh gosh is that for little ol’ me? But as the clapping continues – louder and stronger – something happens that makes moms stand a little taller. Pride. Not only is that for me, I deserve that. Our jobs are so hard, some days, even impossible. THEN, the clapping goes on and it just bubbles up joy and laughter. Pretty soon, we are all enjoying it, looking at other Moms with smiles, cheers, and waves. Dancing just a little because guess what? They are still clapping. I hope every Mom feels that honor today. Maybe it’s not clapping, but lunch, or a card, even flowers. Maybe it’s something from a child made especially for you. And maybe it’s just having that child to hug or one you are waiting to hug in heaven. I lost six pregnancies. From age 21 to age 35. I will always wonder what it would be like to have them. Always. Today more than any other day. Maybe you can’t have children. Not even one. Today, I hope someone reaches out in kindness. I hope you can hug your mom, your grandma, or a special niece or nephew. Just know you are not forgotten. But you love them anyway, you endure the unendurable, because your heart doesn’t stop beating – no matter how many times it’s stomped on. I hope today you reap rewards for those deeds that many parents can not even comprehend. You are so very special. Give yourself a hand, lift your head in honor. Let your heart do the smiling. Stand and enjoy the honor you so richly deserve – today and always. Happy Mother’s Day! I’m clapping for you! Tomorrow, I am guest posting a childhood story from my Mom. You don’t want to miss it. Be sure to come back for the link. Today is special. We have a Mom in Show. Whose Mom? My Mom. I don’t mean show biz. Although she did tour with Sound of Music in the summers of college. But another kind of show. 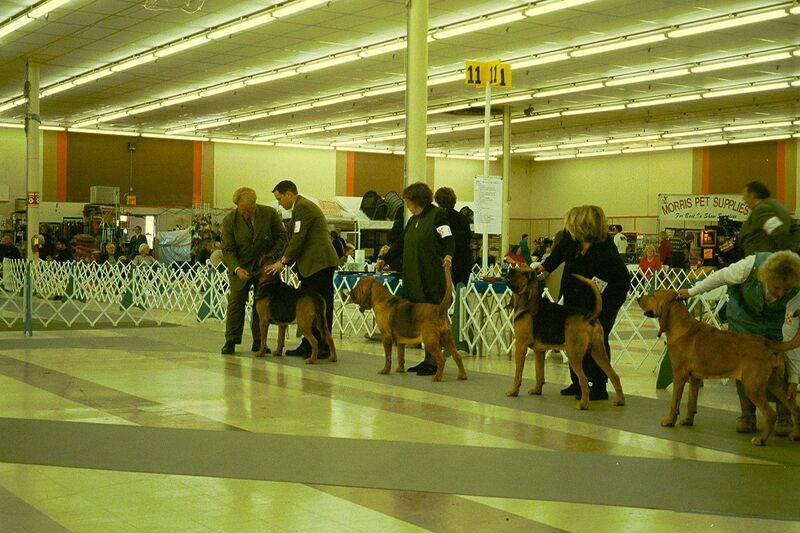 Dog Shows. It all started when the boys were fairly young, ages 7 & 9-ish, Mom got them a bloodhound puppy. They named her Rose Marie. Her floppy ears, clumsy giant steps, soulful sad eyes, and wrinkled skin captured our delight. Nose to the ground she could find you. Every time. She was faithful, loyal, and very funny. The desire to raise a bloodhound stemmed from the movie Where the Red Fern Grows. We lived in the country and it was a natural fit for our family. Rosie was loved. Oh, was she loved. She protected the boys and was their best bud for all her life. Mom fell hard for the bloodhound breed. 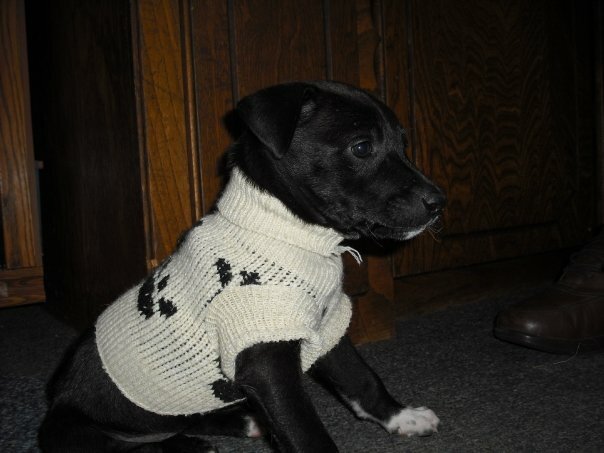 Our childhood pet spawned a breeding of many puppy litters, not just as pets, but as champions. It was NOT a puppy mill. Only one litter at a time. They were cared for and housed, hand fed, handled, socialized, and adopters were thoroughly screened. More often than not, they were rejected as not being good enough. She was strict and ruthless. Her puppies were her babies. They deserved the best. The hardest part of this breed is their life span. They only average 8 years – 10 at the most. That means since we started with bloodhounds over 32 years ago, we’ve had many furry friends to love and their puppies and their puppies. Mom entered the dog show world. I could be wrong, but the first one I believe was a bloodhound named Choco. Mom got an RV with Choco’s pictured pasted in the back window. Viva la dog show! He was a liver colored bloodhound, not your typical black and tan, or red. I think he did pretty good. As things progressed and she learned the show rules, circles, and techniques – we entered Championship. The prize of showmanship. 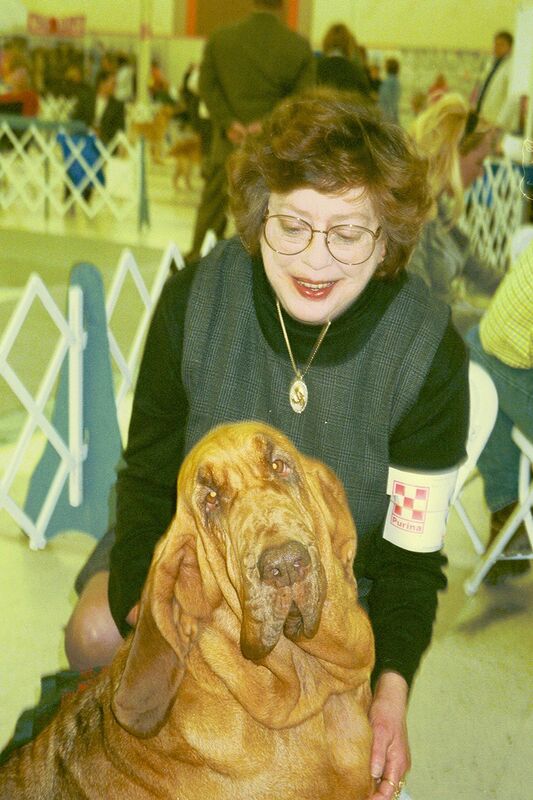 I don’t remember if Choco was a champion or not but I do remember the first bloodhound that was. She was a champion before she left puppyhood. Her name was Peaches. She was a unique liver colored as well. I was about fifteen years old when mom brought her home. She almost looked like a Sharpei with wrinkles EVERYWHERE. Ohmygosh, she was a doll. 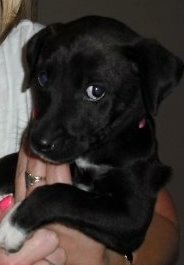 I loved her so much until she chewed up several of my favorite pairs of shoes. Mom, I KNOW. I should have shut my door. My bad. For Peaches, we traveled by RV from Oklahoma to Portland Oregon for the mother of all bloodhound shows. The National Championship. It was a trip from hell heck. My brother and his friend, me and an exchange student from France in VERY tight irritating quarters. Not to mention the RV broke down EVERY STATE. No lie. I loved Idaho and Wyoming though. But we all survived. Peaches did well. All the teens skied Mount Hood. I think we made it back to Oklahoma in one piece, or at least without breaking down. Then we sold the money pit RV. When I was nineteen, just mom and I traveled to New York City. She had entered the biggest, most prestigious dog show in the world. Westminster. Let me tell you, what you see on TV is nothing like the back stages. It’s wall to wall dogs, grooming, handlers, owners, stands and crates. What you see at the end is the culmination of all the exhausting shows that day, which end up with ONE winner IN the main show. That’s ONE out of HUNDREDS, not to mention HOURS of grooming, ring circling, and judging. We were pretty beat up by show time. I felt pretty out of place, all ragged, with people in formal wear watching this show. But WOW, we were in NEW YORK! And no, her dog didn’t win. She didn’t get to be in the show at the end. But what an experience. I think it’s something all show people strive for, to take part in Westminster just once. Mom has mostly retired from showing (haven’t you mom? ), but she does rescue for the Bloodhound Club. Here is the website with all her beautiful animals that fill her life and bring her joy. As much as she loves to care for them (and save them), they would LOVE their own home. If you know of anyone, please pass on this link. One of my favorites right now is Oh Baby, part mastiff, part bloodhound. He is truly a gentle giant. But really, they are all very special. Do check them out. I learned a lot from mom and the dog shows. How to care and love an animal with all your heart. How to meet new people, socialize, and make connections. How to see the world from all angles, the triumphs, and the losses. But mostly, I learned – if you love something – follow your dreams. Happy Birthday Mom! Not only are you Mom in Show you are Best in Show. I love you tremendously!! Mom with her Champion Sally. Oh, and mom….remember that little birthday present you “rescued”. Our best estimate of her birth is around the same time as yours. This one? A very small Anna that fit in my hand. Anna Foursocks Elizabeth – born March 24, 2008 – Happy Birthday to Anna too! Thank you mom for your serving soul. If you hadn’t saved her. I wouldn’t have the entertainment she brings, and the sweet snuggles she endears. Another reflection of you, another gift of life that you offer so freely to others by reaching out to the unwanted with open arms. I am forever grateful you were born to be my mother.